This darling necklace is perfect for fairy tale lovers who dream as big as the famous mouse we all love. Made entirely of 100% 14K Gold, and a stunning AAA-Grade perfect round freshwater cultured pearl, you will know you are giving a gift that is hypoallergenic, safe for children, and of the highest quality. 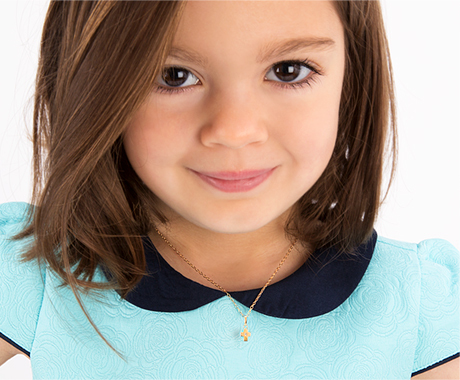 Watch her wishes come true everyday as your little princess wears this enchanting pendant.